We run a range of short vocational training courses every week from our spacious training suite, located on Floor 1 of the stylish K2 Bond Street in Hull city centre. These include everything from most courses that we offer, helping you to gain the knowledge and qualifications you need to start or develop a fulfilling career in your chosen sector. These courses are led by an experienced tutor and offer the opportunity to ask questions and discuss key topics. Using our approved video learning resources, your training is completed at our K2 centre. You still receive the support of a fully qualified tutor and take an invigilated exam at K2 following completion of the training, the same as you would with tutor-led sessions. If you achieve the minimum pass mark, you receive a fully accredited certificate issued by an approved awarding body. This is the same type of certificate that learners who study through the more traditional route receive, so you don’t have to worry that it has limited value or is supplied as an e-certificate. 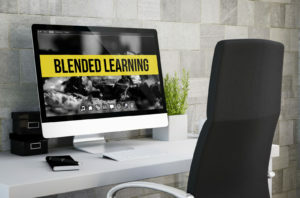 This makes blended learning just as valuable, yet saves you a lot of time whilst offering the freedom to learn via video lessons at home or your place of work. Q. What if I don’t achieve the pass mark? A. We will give you additional support and re-book you free of charge the following week! Q. Will I just get an eLearning certificate? A. No. When you achieve the minimum pass grade, you receive a fully accredited certificate. Blended learning is a fantastic way to gain the qualifications you need to progress in your career. Highly flexible, fully accredited and very affordable, it’s the perfect solution for people who have busy schedules or find it hard to make regular visits to our training centre, as you still get to learn as part of a high-quality vocational programme and take control of your future.